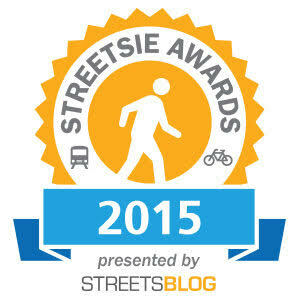 It is time to vote your mind for the 2015 Streetsie award: Civil Servant of the Year. Longtime readers will know what to do. There are six Streetsie categories this year: Elected Official, Civil Servant, Business, Writer/Journalist, Advocacy – Individual, and Advocacy – Group. If you can read this, voting has already started. All polls will close on Tuesday, January 5, 2016 at noon. We rely on an overly complex formula to calculate winners. Reader voting accounts for one half of the scoring, with one quarter going to SBLA staff voting, and another quarter going to a SBLA board vote. Vote above, and if you are enjoying the interactive voting thing, then vote for elected official here, too. Dale Benson – Benson is Caltrans’ District 7 traffic engineer who serves as the agency’s local point person for bicycle and pedestrian issues. He has been a great source for sharing information and has long chaired Caltrans’ local Bicycle Advisory Committee. When L.A. engineering staff, in an effort to push an unsafe design for the Glendale-Hyperion Bridge, misled city councilmembers by claiming that Caltrans funding would be cut if the project was delayed, Benson did something courageous: he testified to the city’s Public Works committee refuting those false claims. Benson’s kind of testimony is all too rare among traffic engineers; it is much more common for engineers to circle the wagons and defend car-centric “current standards” engineering. Jenna Hornstock – Hornstock serves as Metro’s point-person for joint development projects that mostly build housing on Metro-owned property. At the direction of CEO Phil Washington and the board, Hornstock stewarded a significant makeover of Metro’s approach to joint development. What was “Transit-Oriented Development” is now called “Transit-Oriented Communities.” Metro TOD/TOC programs may not be everything that a shoupista heart might desire, but Hornstock deserves kudos for moving things in the right direction. She also deserves great credit for her efforts to build bridges between Metro and marginalized communities. When controversy erupted over Metro’s attempt to push several projects slated for Boyle Heights through the approval process without any community engagement — including a makeover of Mariachi Plaza that would have significantly altered the community’s cultural and economic landscape — Hornstock heard the community out and did her best to adjust the joint development process to allow those concerns to be addressed. No doubt she will face challenges when the Mariachi Plaza design process gets underway in 2016, but her willingness to listen to the community and be frank with them suggests the process should be more fruitful the second time around. Mobility Plan 2035 team – It has been a bumpy year for the team behind city of L.A.’s Mobility Plan 2035, with a few more bumps in the bus-only lane ahead. The multi-modal Vision Zero plan passed muster at every legislative hearing where it was approved, challenged, re-approved, and began a third approval process. City staff have come up with a multi-modal plan, defended the plan on its very forward-looking strengths, weathered the storms, and kept the document intact. There are numerous city staff involved but, the primary authors are the Department of City Planning’s Claire Bowin and My La, plus DCP’s David Somers and Ken Bernstein. Francie Stefan – Santa Monica’s strategic planning and transportation manager, Francie Stefan, has been one of the major motivating forces behind the city’s vision for truly shared streets. 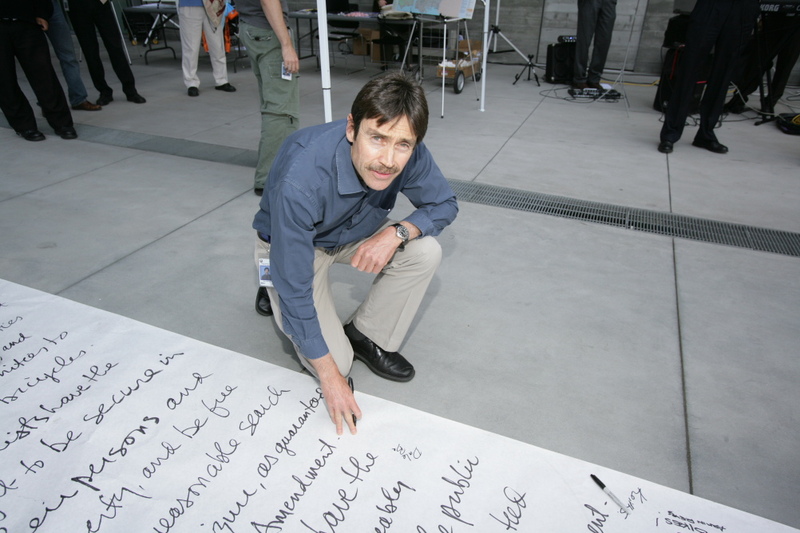 Stefan has had a guiding hand in numerous Santa Monica livability projects. 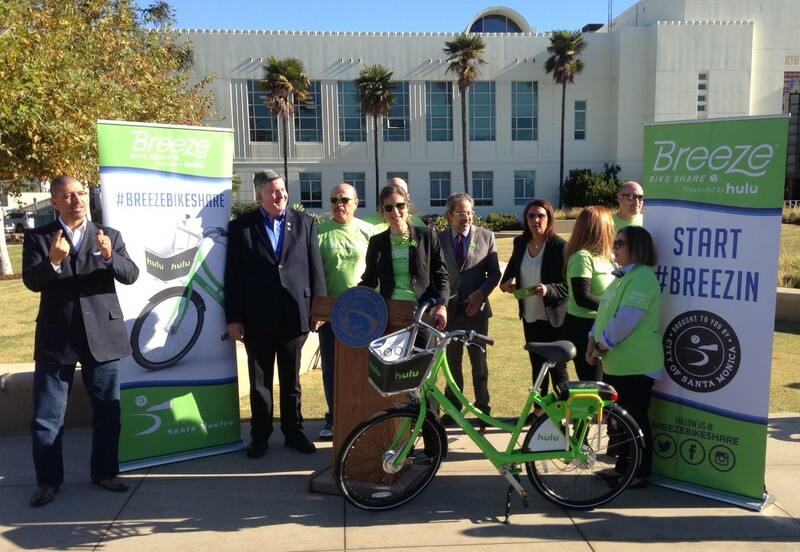 Most visible this year was the premiere of Breeze, Santa Monica’s 500-bike bike-share system. Stefan also shepherded Santa Monica’s new Pedestrian Plan, promoted other shared mobility, and much more. Valerie Watson – Watson is one of the leading livability proponents getting things done working inside L.A.’s Department of Transportation. 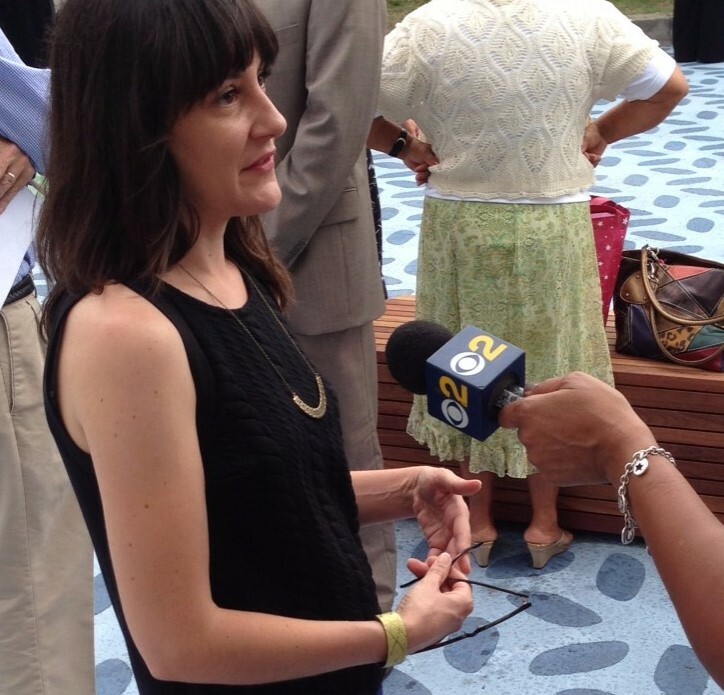 At LADOT she midwifed the birth of the LADOT’s People St program, spreading plazas and parklets into L.A. neighborhoods. In 2015 Watson oversaw three excellent new People St plazas; they are in Leimert Park Village, North Hollywood, and Pacoima. Now Watson has stepped up to lead LADOT’s Vision Zero efforts. If Watson wins she will be the first Streetsie winner to receive the award in two different categories, as she already has an advocacy Streetsie under her belt. And if she runs and is elected to City Council, then we would probably nominate her in a third category! Honorable Mentions: Rick Cole transitioned from Los Angeles Deputy Mayor to Santa Monica City Manager; he has a long track record of no-nonsense good-government innovation, with a eye toward curbing car transportation budgets and fostering walkability. 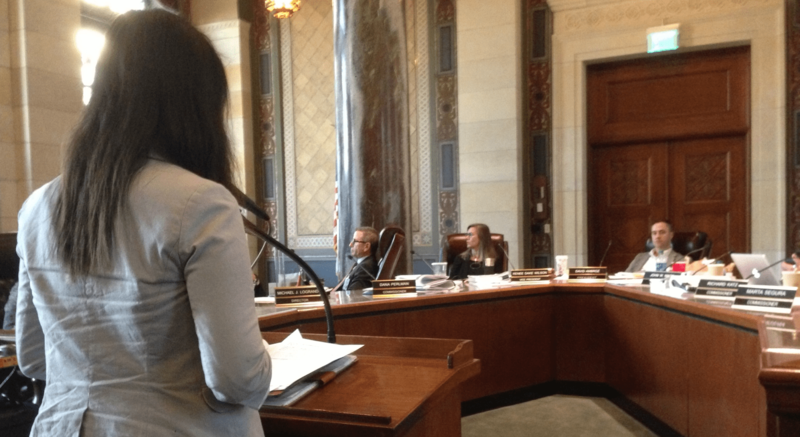 Los Angeles City Transportation Department General Manager Seleta Reynolds has been excellent for her first year and a half, successfully realigning LADOT’s visions and priorities, but we are expecting even more big on-the-ground accomplishments soon to come. Metro’s new CEO Phil Washington talks a great balanced transportation talk; he values equity, livability, and community, but his big tests lie ahead: molding a progressive ballot measure, getting voters to approve it, delivering on Metro’s ambitious construction programs, all the while maintaining Metro’s current ridership. Metro’s partners at the Foothill Gold Line Construction Authority and the Expo Line Construction Authority are wrapping up their construction phases, with new rail lines scheduled to open in 2016. DALE BENSON ALL DAY. A true hero and a humble humble man. I agree. With the District 7 BAC and his long experience in traffic matters, Dale has done a tremendous amount for bicycle and pedestrian safety in Southern California, bringing an important perspective internally to what may be one of the most insular transportation agencies in the state. Benson showed guts and wasn’t afraid to make enemies (I’m sure he did make enemies). I have to applaud anyone who is brave enough to tell the truth while in a position where there is pressure not to. Thanks for the honorable mention, Streetsblog. Some wonderful nominees, all winners in their own right. But Francie Stefan’s leadership on launching the region’s first bikeshare program with 500 bikes in use every day is in a class by itself. With Suja Lowenthal, she’s co-leading Santa Monica’s push to create a new model of mobility offering real choice in how we get around in Southern California, coinciding with the completion of the Expo connection to Santa Monica this coming spring. Dale is the only one who really went out on a limb. Everyone else is just doing what their job is. Dale showed he has morals, exposed a lie, and risked his job, all in the name of doing what is right. Unfortunately he will lose this popularity contest because unlike LADOT and City of Santa Monica who are tweeting and emailing to have people vote for their candidates, Caltrans will not endorse Dale’s heroic actions because he went against what he was told to do. Why does the result (attached) show Francie Stefan as the winner?